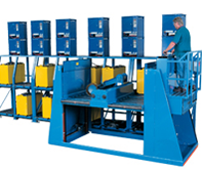 With over 100 years of battery charging experience, AMETEK Prestolite Power continues to set the industry standard worldwide for superior battery charging solutions. 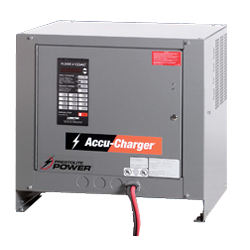 Accu Charger: Ferroresonant industrial battery chargers. Charges 100% discharged batteries in 8 hours or less. Get more info. 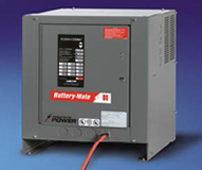 Battery Mate 80: Single and three phase ferroresonant industrial battery chargers. 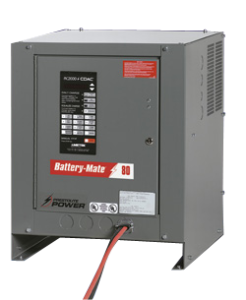 Charges 80% discharged batteries in 8 hours or less. Get more info. 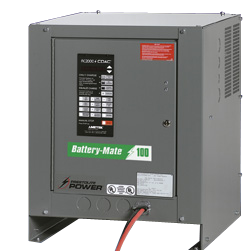 Battery Mate 100: Single and three phase ferroresonant industrial battery chargers. Charges 100% discharged batteries in 8 hours or less. Get more info. 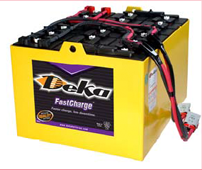 Ultra Charger: Can charge flooded cell and sealed cell lead acid batteries of nearly any voltage or ampere-hour size 100% discharged in 8 hours. Get more info. 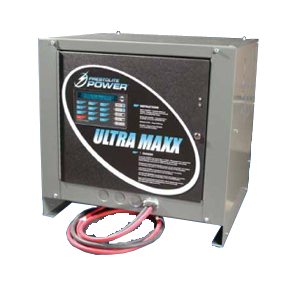 Ultra Maxx Opportunity Charger: Charges batteries to 80% in 3 hours or less. 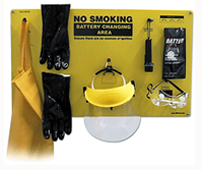 Uses BID module to monitor battery temperature during charge cycle to maximize battery life. Get more info. 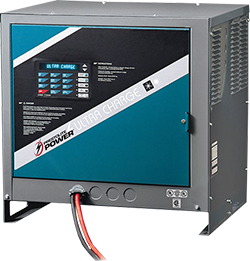 Equinox High Frequency Charger: Utilizing IGBT technology, offers high efficiency, precisely controlled curves, light weight and small size. Get more info. 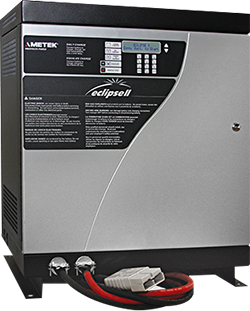 Eclispe 2 Plus: Utilizing IGBT technology, offers high efficiency, precisely controlled curves, light weight and small size. Get more info. 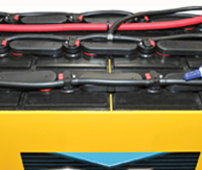 ©2019 Electric Battery Company, LLC. All rights reserved. Site by: Progressive Marketing Group, Inc.